Distance: Varies on chosen route! 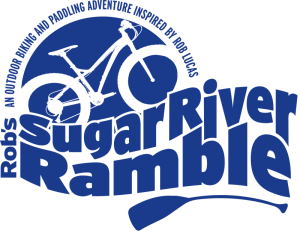 Connect with the Upper Sugar River Watershed by land and water as you cycle through the beautiful countryside, then paddle the Sugar River until you reach your destination near Paoli, WI. Transportation and a locally-sourced lunch is included! Visit our website for more information on the route, food, entertainment and more! Cost: $45 for adults before midnight May 6, $50 for adults after May 6 until midnight May 30. $10 for children 12 & under. Advanced registration only. All proceeds support the Upper Sugar River Watershed Association, a non-profit organization that provides leadership for natural resource improvement through partnerships that benefit the watershed’s land, water and people. This entry was posted in Multi-Sport Event, Recreational Day Ride on June 2, 2019 by anonymous.